Hot on the heels of its Royal Wedding screening success, Shrewsbury Business Improvement District (BID) are bringing a taste of Wimbledon to Shrewsbury with a giant screening of men’s and women’s tennis on the 13th and 14th of July. 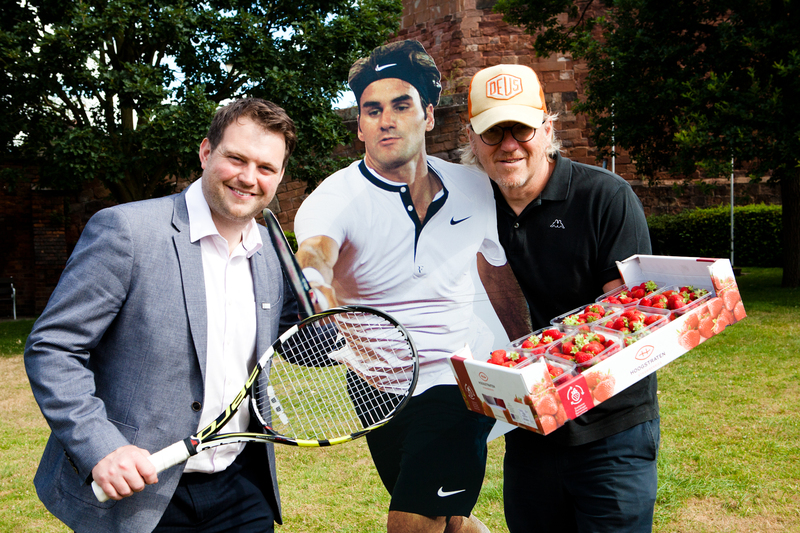 The splendid background for the quintessential British summer event will be Shrewsbury’s historic castle grounds in the town centre where Wimbledon fans will be invited to sit and enjoy the matches complete with another element synonymous with an English summer – strawberries and ice cream. Pomona Grocery near Castle Gates will be sourcing English strawberries for the occasion, 100 of which will be served for free with ice cream from 1pm during the two-day screening. Shrewsbury BID has organised the free outdoor screening from Friday July 13th 12:30pm – 7:30pm and Saturday July 14th 11:00am – 7:30pm, with deckchair seating on the lawns outside the Castle to give the perfect view of the proceedings. Seb Slater, Executive Director of Shrewsbury BID, commented: “We had such a great response from businesses and the public alike to our recent screening in St Alkmunds, we felt the popularity of Wimbledon offered another chance to bring a community spirited spectacle to life for everyone to enjoy here in Shrewsbury’s town centre.